Our two exclusive clips from Adventures in Zambezia, currently available on Blu-ray and DVD only at Wal-Mart, highlight the star-studded voice cast in this animated adventure. The first clip features Kai (Jeremy Suarez), a young falcon who meets Easy (Jamal Mixon) after escaping from home. The second clip features Kai meeting Sekhuru (Leonard Nimoy), and learns that he was actually born in Zambezia. 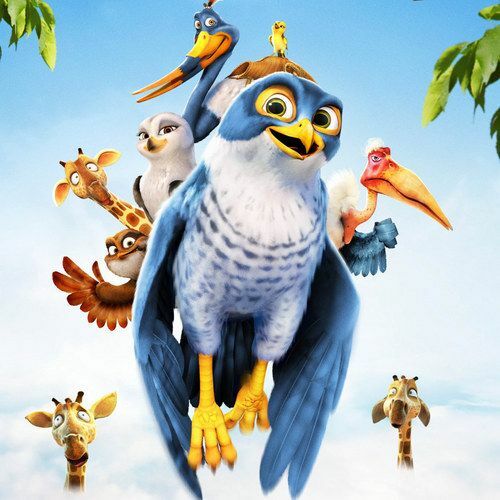 When a spirited young falcon named Kai (Jeremy Suarez, TV's The Bernie Mac Show) learns of Zambezia, the fabulous city of birds, he leaves his remote country home against the wishes of his father (Samuel L. Jackson). But when his dad is captured by an evil lizard who plans to attack the city, Kai must learn the importance of teamwork if he's to rescue his father, save his new friends and help keep Zambezia lizard free. Samuel L. Jackson, Abigail Breslin, Jeff Goldblum and Leonard Nimoy give voice to this beautifully animated fun-filled adventure the whole family will enjoy!